We met out of need, but then learned what your policyholders wanted, so the next time they want something brilliant – we’re here waiting. Your policyholders are more than just a number to us, which is why we extend a special membership to each of them for any future jewelry purchase with unlimited access to our vault of diamonds, gemstones, fine jewelry and watches with no fees or obligations. 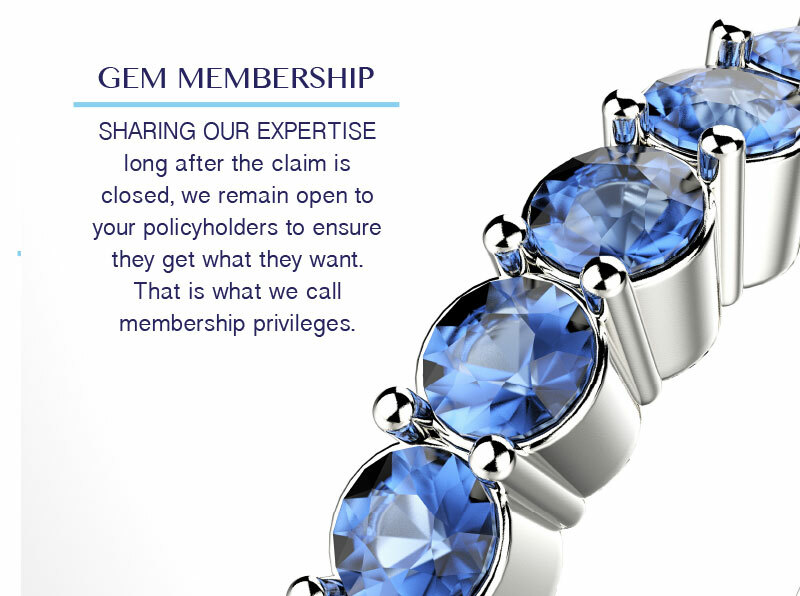 Artigem offers an exclusive GEM Membership to all employees of insurance companies that utilize our services and policyholders that have had a claim with us. Through this program members have the opportunity to purchase diamonds, gemstones, and fine jewelry directly from Artigem at a similar discounted pricing schedule utilized to what is used in our claim valuations and replacements. There are no fees or obligations and members have unlimited access to Artigem’s extensive jewelry collection. Members can put their trust in Artigem that they will always receive the highest quality items at the lowest prices available. If members do not see the item they are looking for on the site, not a problem. Artigem has thousands more items available, just call 1-888-205-2522 to speak with a Jewelry Specialist who would be happy to find exactly what you’re looking for!